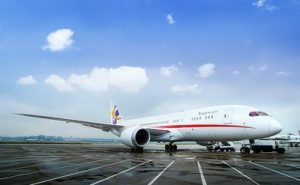 Deer Jet, the leading private jet operator in Asia, announced the launching of bespoke journeys on board the customized BBJ 787 VVIP Dream Jet. The maiden journey will take VVIP guests across the South Pacific Ocean from Hong Kong to Tahiti. With 22 years of expertise, Deer Jet started as the first private jet company in China and has rapidly evolved into the largest business aviation group of Asia. Deer Jet has a heritage of delivering bespoke services for global leaders, monarchs and entrepreneurs, gaining the company with an unparalleled reputation.Today, Deer Jet is recognized as the “World’s Best Private Jet Company” for its excellence in service and its social contributions. The Dream Jet is a masterpiece of aerospace engineering and design craftsmanship. This ultra-long-range private jet has a 220 sqm. cabin with private spaces for guests, crew, and butlers; equipped with unlimited luxury amenities and entertainment options. The unique cabin architecture provides with larger windows, quieter environment, and cleaner air. 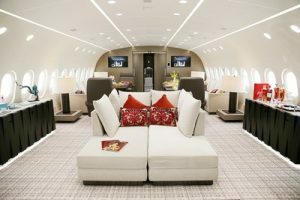 The Dream Jet pressurizes its cabin a full 2,000 ft lower than other aircraft for smoother rides and improved flying comfort. The aircraft is one of the most aerodynamically efficient in the market too, with a truly global range, flying nonstop for up to 17 hours. Deer Jet had crafted seamless luxury travel which begins on the ground, recruiting and training the best pilots, engineers and butlers, and delivering the finest experiences. Deer Jet has already hosted a number of privileged guests on board the aircraft, and for first time, the “Dream Journey” experience is offered to a broader customer base. Guests will delight in exceptional activities in this paradise, as they are embarking on memorable journeys of cultural discovery. In Tahiti, days are for sunbaths, contemplation of the tranquil blue skies and the exploration of nature’s mysteries. After sunset, nights turn into festivities with the finest dining accompanied by the delightful rhythms of traditional dances. Is after this pleasant lifestyle that Tahiti’s inhabitants call themselves “Gods in Paradise”. With the Dream Jet, Deer Jet plans to fly VVIP guests from one extraordinary destination to the next one. And the first “Dream Journey” is about to take off from Hong Kong. Aboard the Dream Jet guests enjoy the distinctive state-of-the-art services and amenities signature of Deer Jet. Once at the destination, guests uncover the magic of Tahiti as experienced by selected few.